Carbon fiber is composed of carbon atoms bonded together to form a long chain. The fibers are extremely stiff, strong, and light, and are used in many processes to create excellent building materials. Carbon fiber material comes in a variety of "raw" building-blocks, including yarns, uni-directional, weaves, braids, and several others, which are in turn used to create composite parts. Within each of these categories are many sub-categories of further refinement. 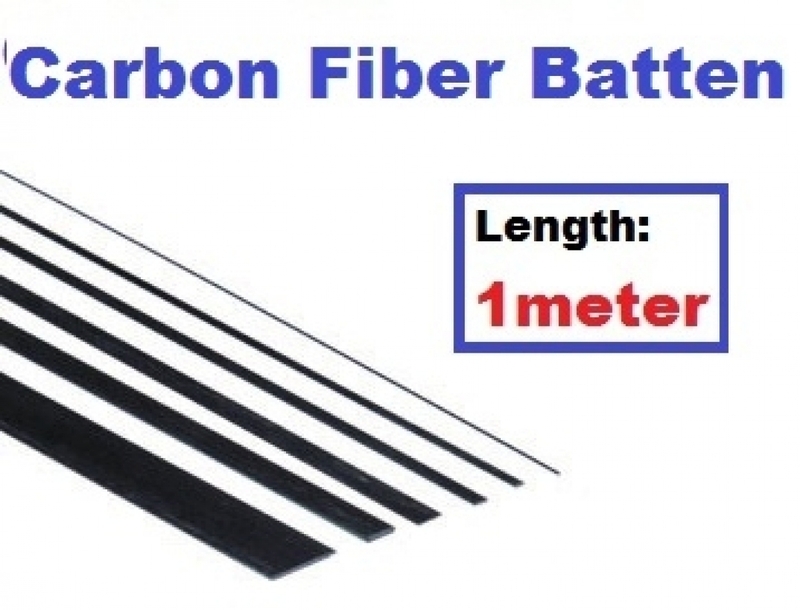 For example, different types of carbon fiber weaves result in different properties for the composite part, both in fabrication, as well as final product. In order to create a composite part, the carbon fibers, which are stiff in tension and compression, need a stable matrix to reside in and maintain their shape. Epoxy resin is an excellent plastic with good compressive and shear properties, and is often used to form this matrix, whereby the carbon fibers provide the reinforcement. Since the epoxy is low density, one is able to create a part that is light weight, but very strong. When fabricating a composite part, a multitude of different processes can be utilized, including wet-layup, vacuum bagging, resin transfer, matched tooling, insert molding, pultrusion, and many other methods. In addition, the selection of the resin allows tailoring for specific properties. Carbon fiber is extremely strong. It is typical in engineering to measure the benefit of a material in terms of strength to weight ratio and stiffness to weight ratio, particularly in structural design, where added weight may translate into increased lifecycle costs or unsatisfactory performance. The stiffness of a material is measured by its modulus of elasticity. The modulus of carbon fiber is typically 20 msi (138 Gpa) and its ultimate tensile strength is typically 500 ksi (3.5 Gpa). High stiffness and strength carbon fiber materials are also available through specialized heat treatment processes with much higher values. Compare this with 2024-T3 Aluminum, which has a modulus of only 10 msi and ultimate tensile strength of 65 ksi, and 4130 Steel, which has a modulus of 30 msi and ultimate tensile strength of 125 ksi.As an example, a plain-weave carbon fiber reinforced laminate has an elastic modulus of approximately 6 msi and a volumetric density of about 83 lbs/ft3. Thus the stiffness to weight for this material is 107 ft. By comparison, the density of aluminum is 169 lbs/ft3, which yields a stiffness to weight of 8.5 x 106 ft, and the density of 4130 steel is 489 lbs/ft3, which yields a stiffness to weight of 8.8 x 106 ft. Hence even a basic plain-weave carbon fiber panel has a stiffness to weight ratio 18% greater than aluminum and 14% greater than steel. When one considers the possibility of customized carbon fiber panel stiffness through strategic laminate placement, as well as the potentially massive increase in both strength and stiffness possible with lightweight core materials, is it obvious the impact advanced carbon fiber composites can make on a wide variety of applications. Carbon fiber reinforced composites have several highly desirable traits that can be exploited in the design of advanced materials and systems. The two most common uses for carbon fiber are in applications where high strength to weight and high stiffness to weight are desirable. These include aerospace, military structures, robotics, wind turbines, manufacturing fixtures, sports equipment, and many others. High toughness can be accomplished when combined with other materials. Certain applications also exploit carbon fiber&apos;s electrical conductivity, as well as high thermal conductivity in the case of specialized carbon fiber. Finally, in addition to the basic mechanical properties, carbon fiber creates a unique and beautiful surface finish.Although carbon fiber has many significant benefits over other materials, there are also tradeoffs one must weigh against. First, solid carbon fiber will not yield. Under load carbon fiber bends but will not remain permanently deformed. Instead, once the ultimate strength of the material is exceeded, carbon fiber will fail suddenly and catastrophically. In the design process it is critical that the engineer understand and account for this behavior, particularly in terms of design safety factors. Carbon fiber composites are also significantly more expensive than traditional materials. Working with carbon fiber requires a high skill level and many intricate processes to produce high quality building materials (for example, solid carbon sheets, sandwich laminates, tubes, etc). Very high skill level and specialized tooling and machinery are required to create custom-fabricated, highly optimized parts and assemblies. When designing composite parts, one cannot simply compare properties of carbon fiber versus steel, aluminum, or plastic, since these materials are in general homogeneous (properties are the same at all points in the part), and have isotropic properties throughout (properties are the same along all axes). By comparison, in a carbon fiber part the strength resides along the axis of the fibers, and thus fiber properties and orientation greatly impact mechanical properties. Carbon fiber parts are in general neither homogeneous nor isotropic.The properties of a carbon fiber part are close to that of steel and the weight is close to that of plastic. Thus the strength to weight ratio (as well as stiffness to weight ratio) of a carbon fiber part is much higher than either steel or plastic. The specific details depend on the matter of construction of the part and the application. For instance, a foam-core sandwich has extremely high strength to weight ratio in bending, but not necessarily in compression or crush. In addition, the loading and boundary conditions for any components are unique to the structure within which they reside. 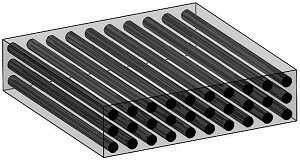 Thus it is impossible for us to provide the thickness of carbon fiber plate that would replace the steel plate in your application. It is the customer&apos;s responsibility to determine the safety and suitability of any Dragonplate product for a specific purpose. This is accomplished through engineering analysis and experimental validation.